You are here: Home / FREEbies / FREE Contact Lens Trial! If you wear contacts, you know how expensive they can be. So, I have a GREAT FREEbie for you! 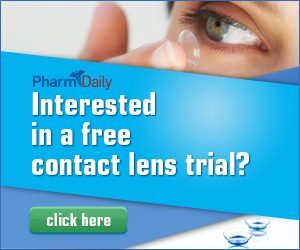 Click the banner above to get a FREE contact lens trial! I grab FREE trial offers like this whenever they pop up to add to our contact stash, so I’m super excited about this one!